If your home features bay or bow windows, don't worry! Eclipse Shutters can easily craft beautiful plantation shutters to fit your unique spaces, including those with bay windows or bow windows. 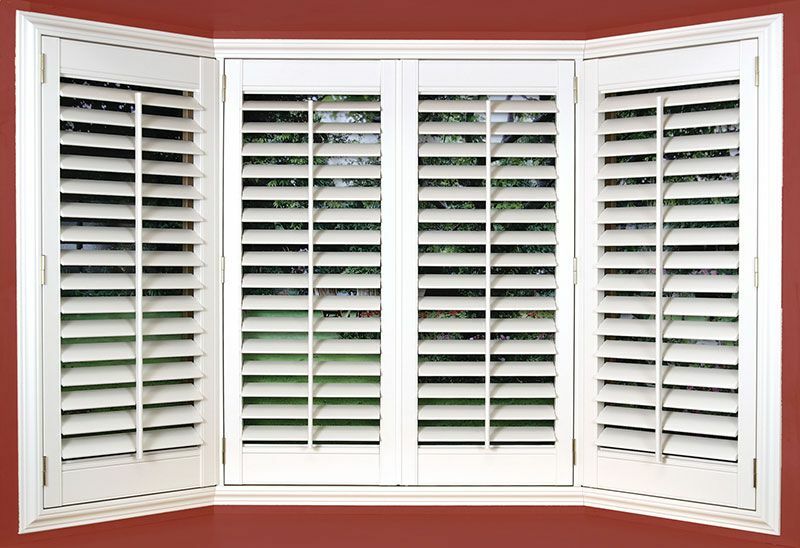 Because our plantation shutters are custom fabricated and made to order, we can provide a custom window treatment that is perfect for homeowners with both bay and bow windows. Now you won't have to worry about an alternate window covering for the specialty shaped windows in your home. 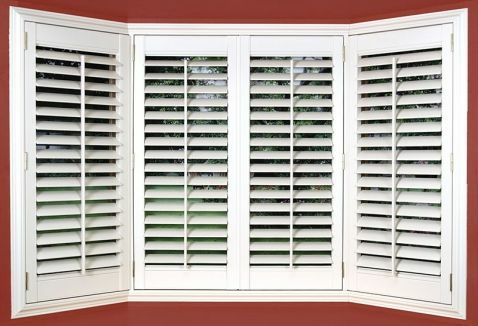 If you have arches in your home, please see our additional specialty shaped shutters that are available here. The Traditional Tilt-Bar System provides a tight and uniform closure of all louvers at once and is located on the front center of each panel of plantation shutters. If you'd prefer your plantation shutters without the central tilt-bar, the bay and bow window shutters are also available in the Clearview® system.